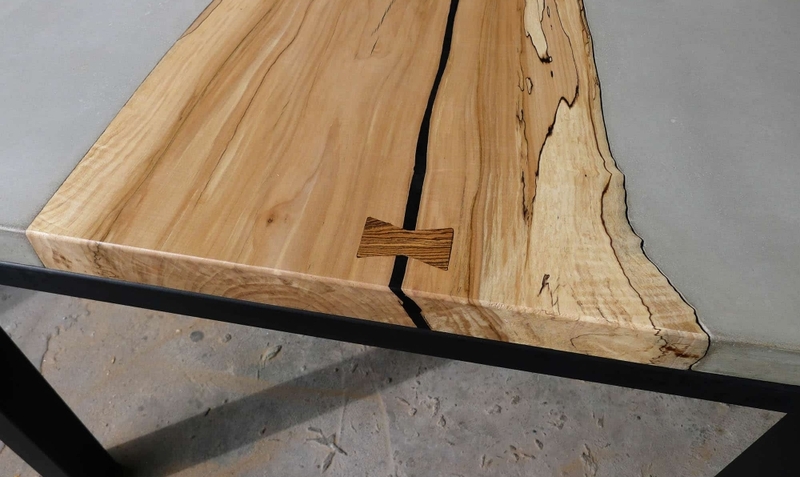 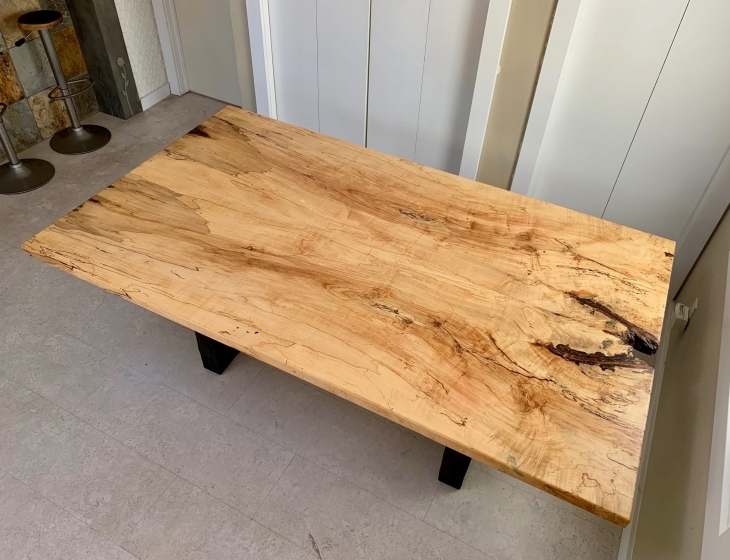 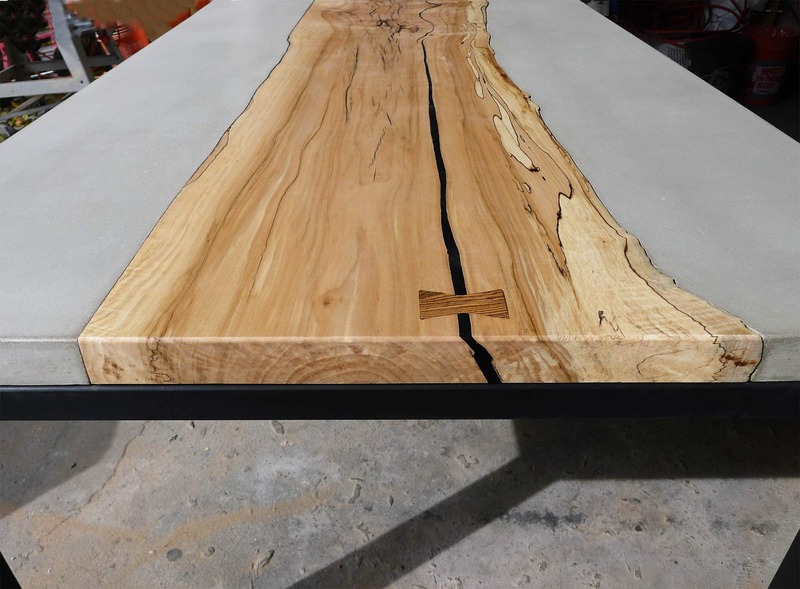 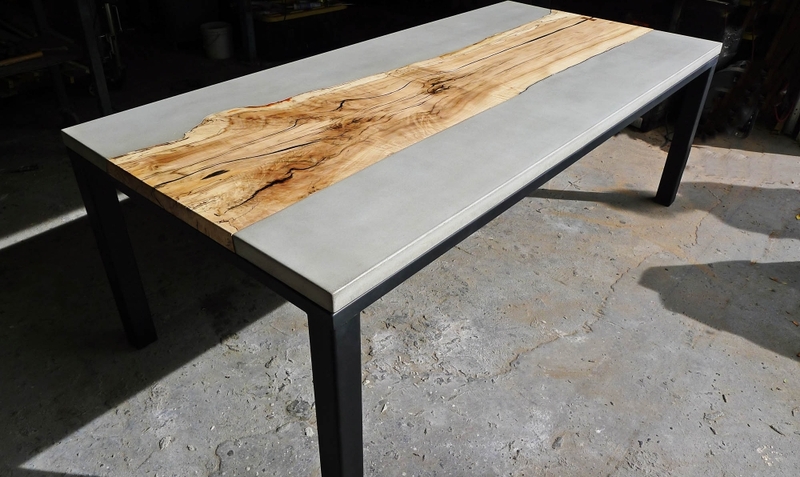 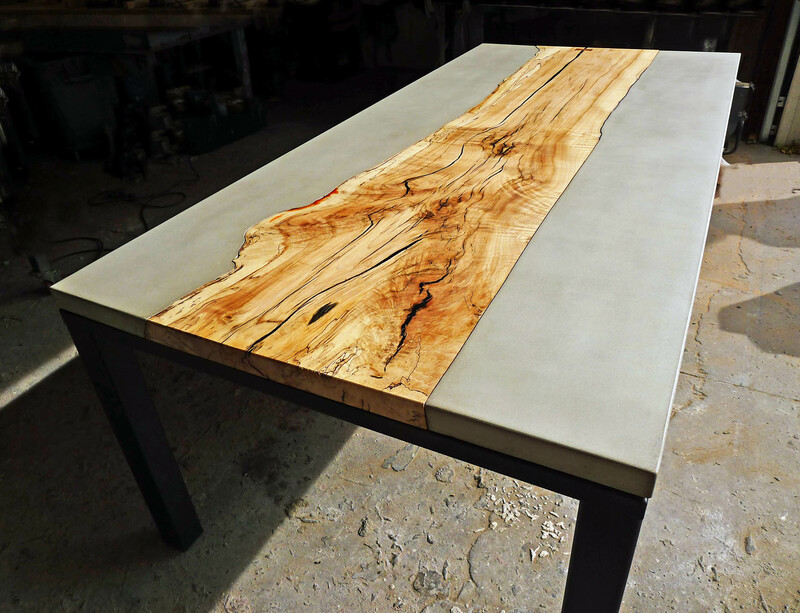 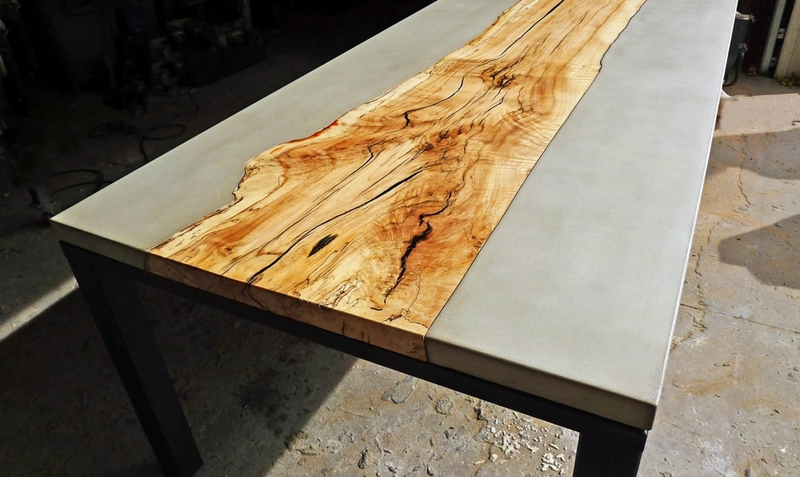 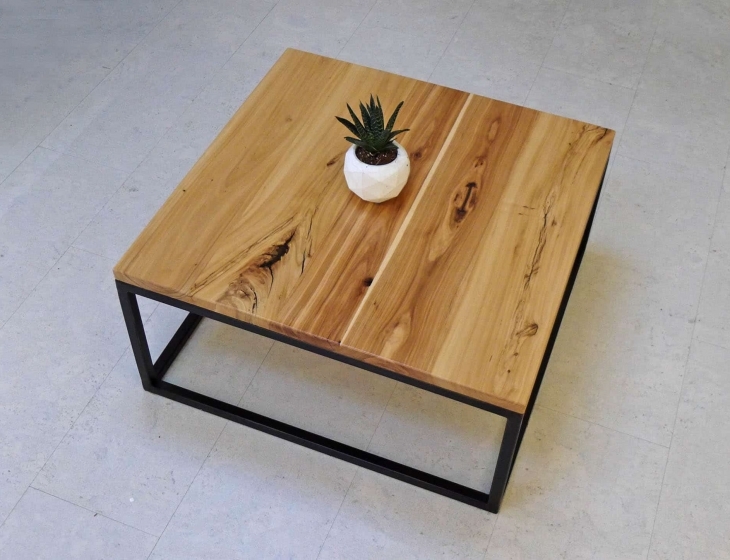 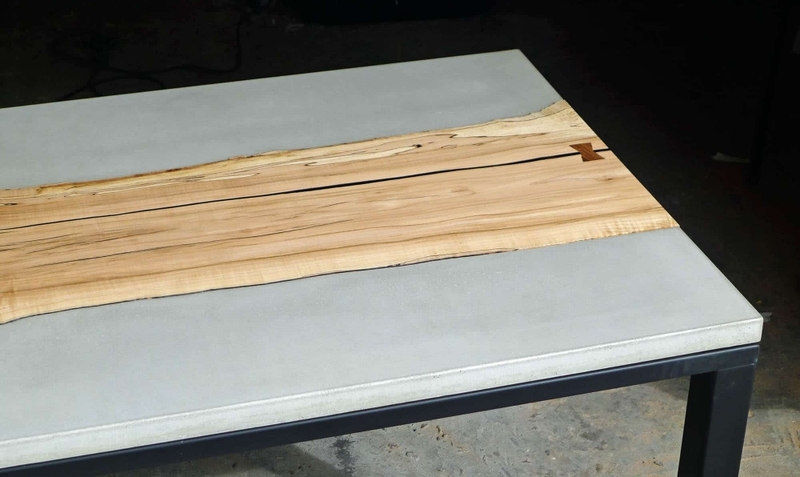 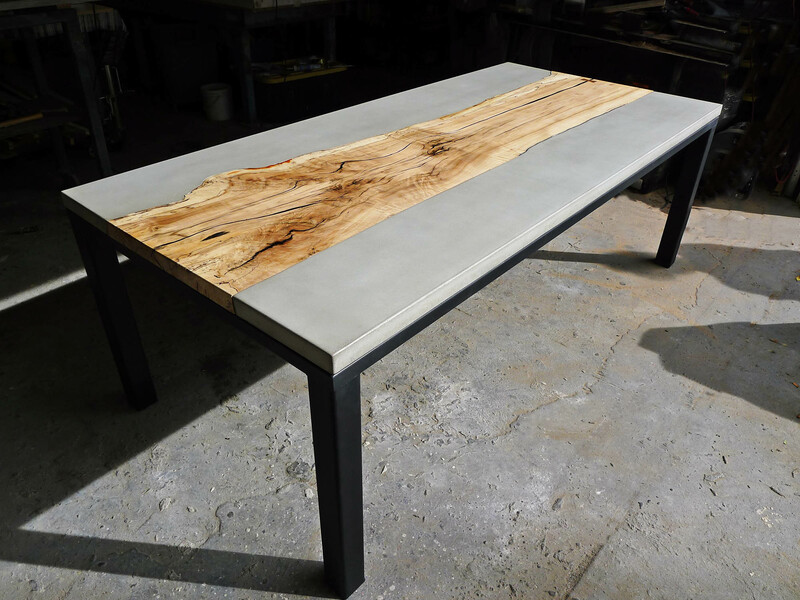 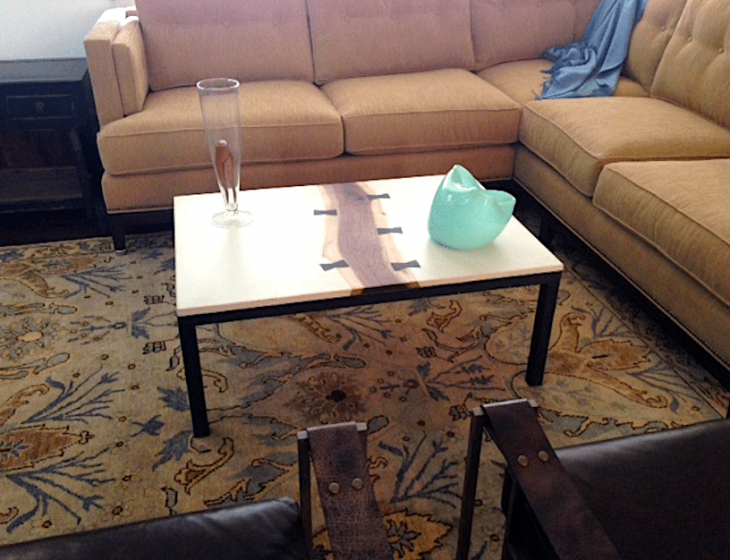 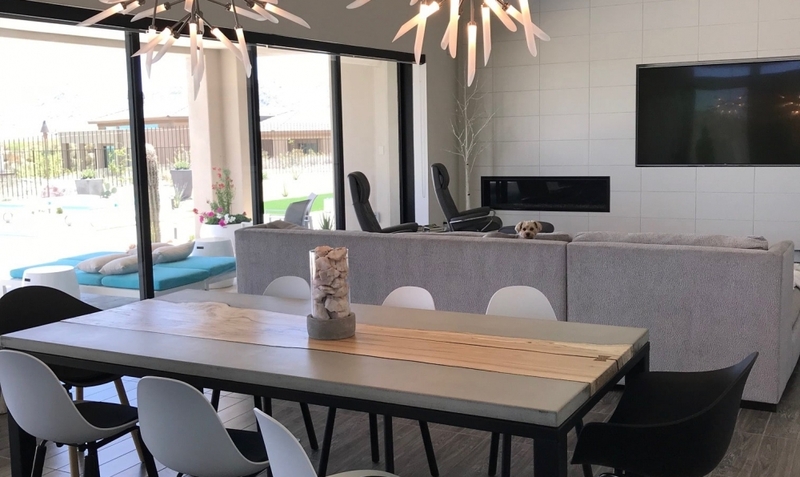 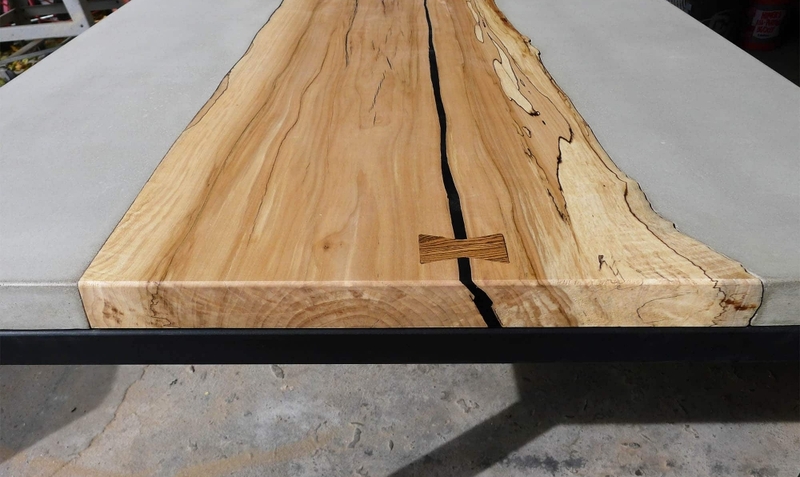 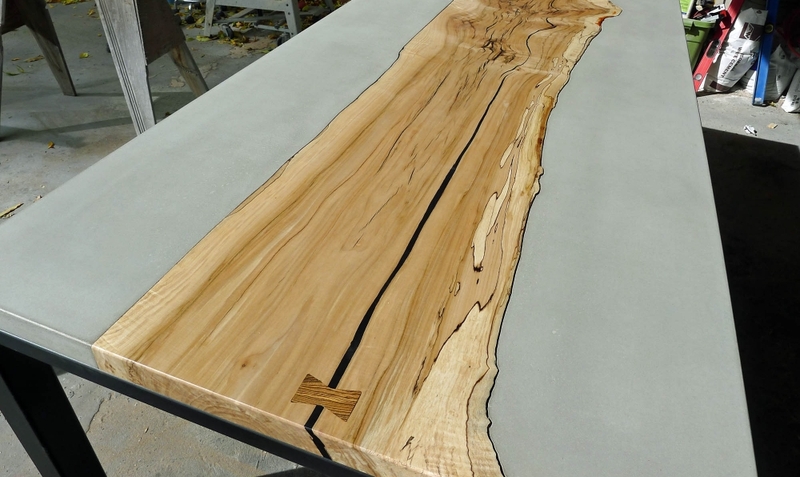 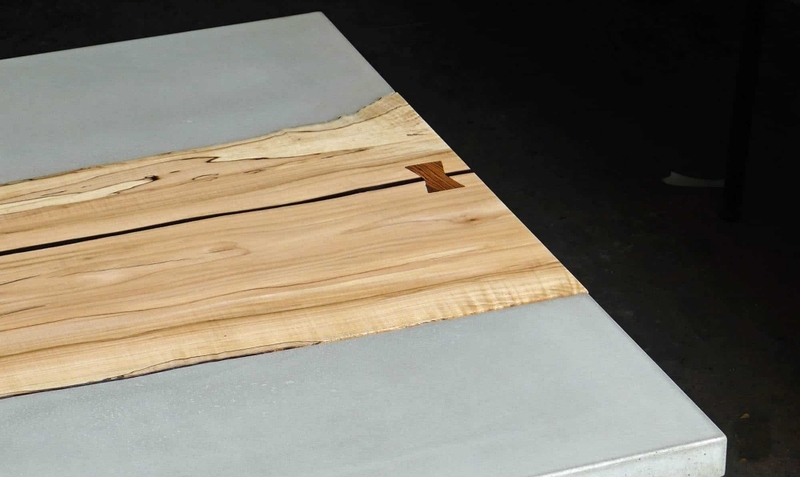 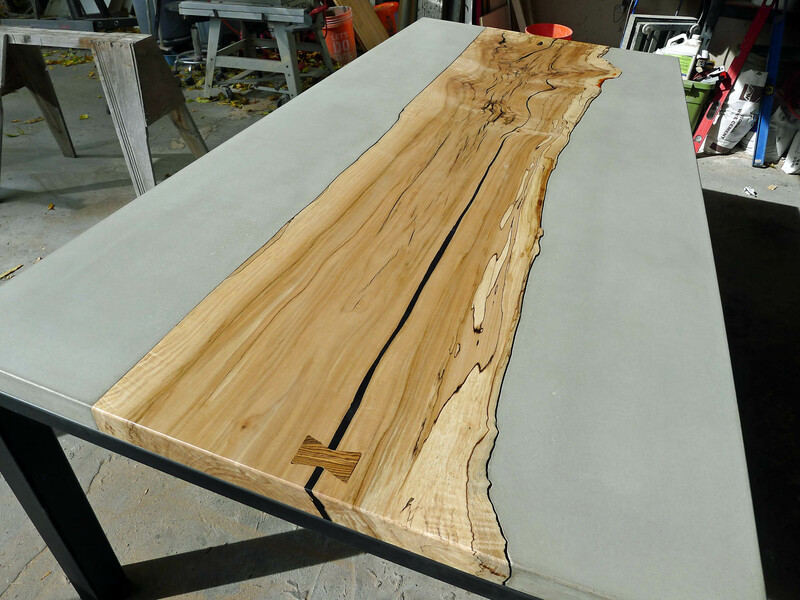 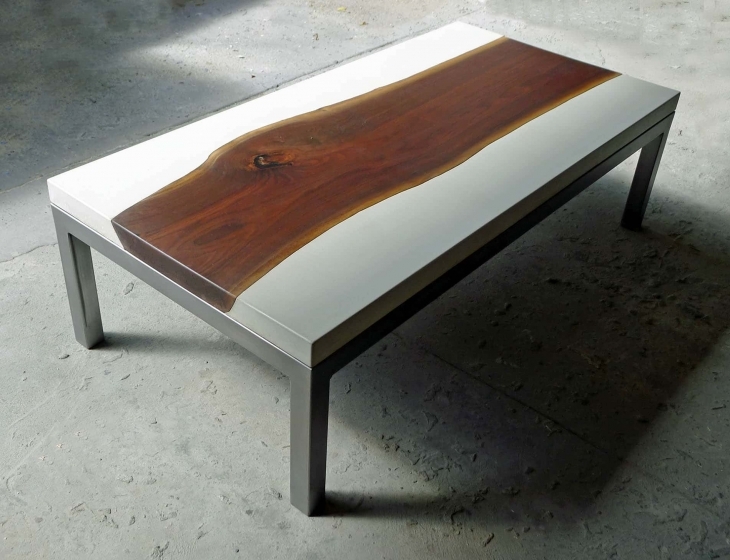 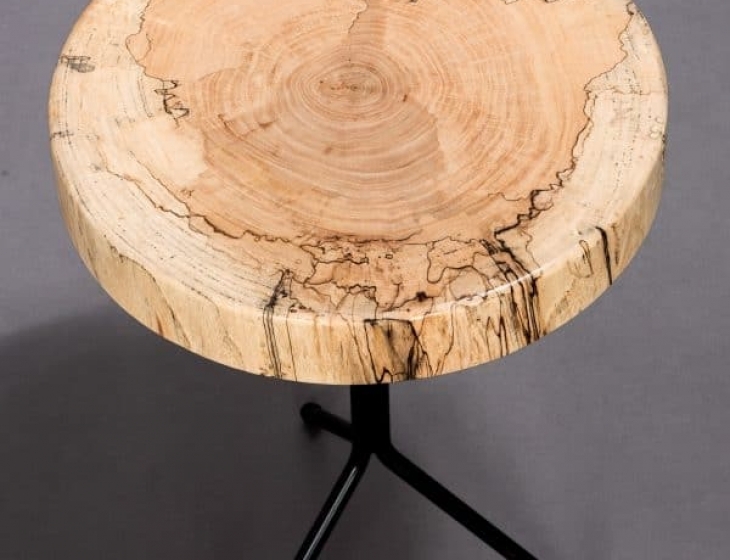 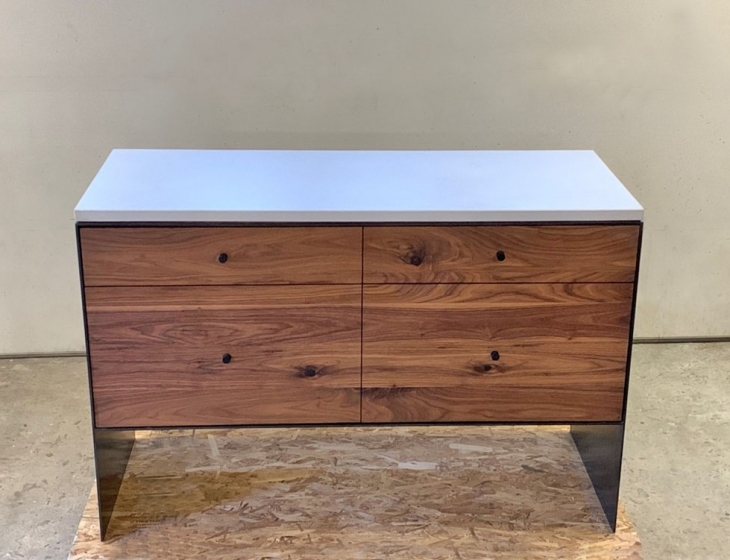 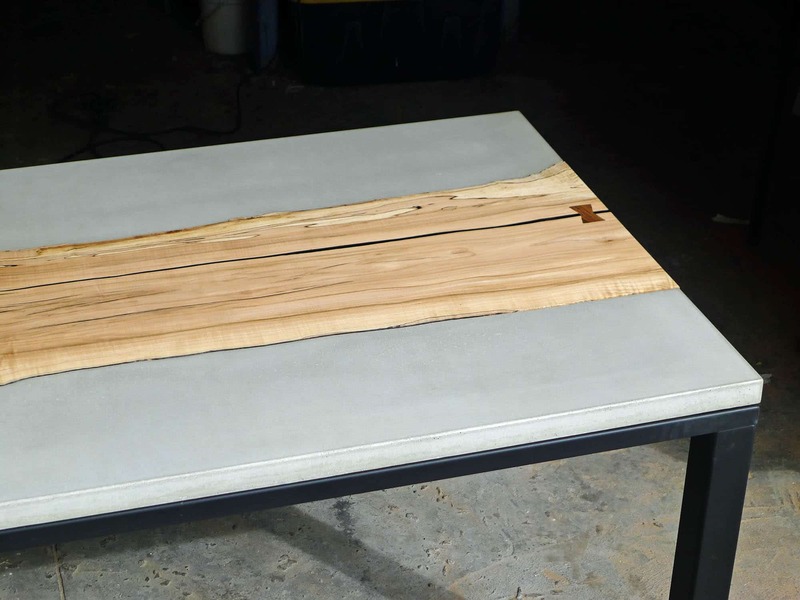 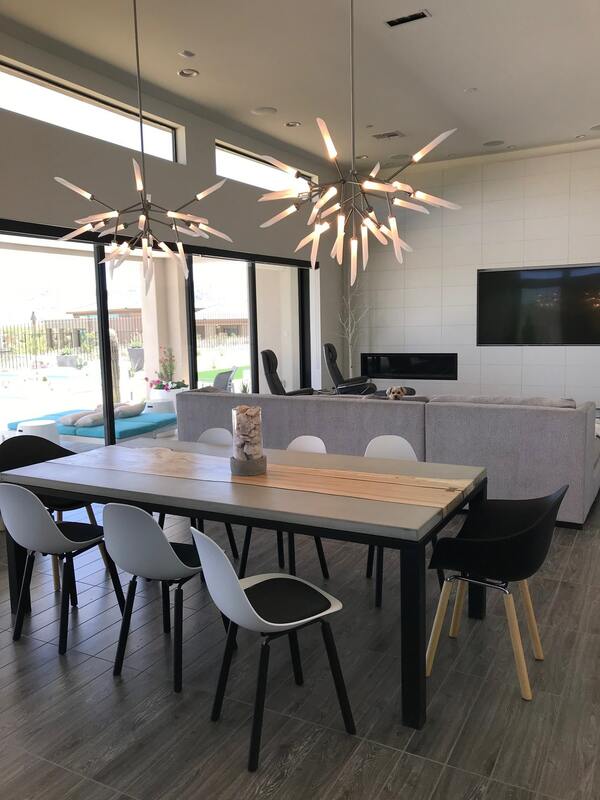 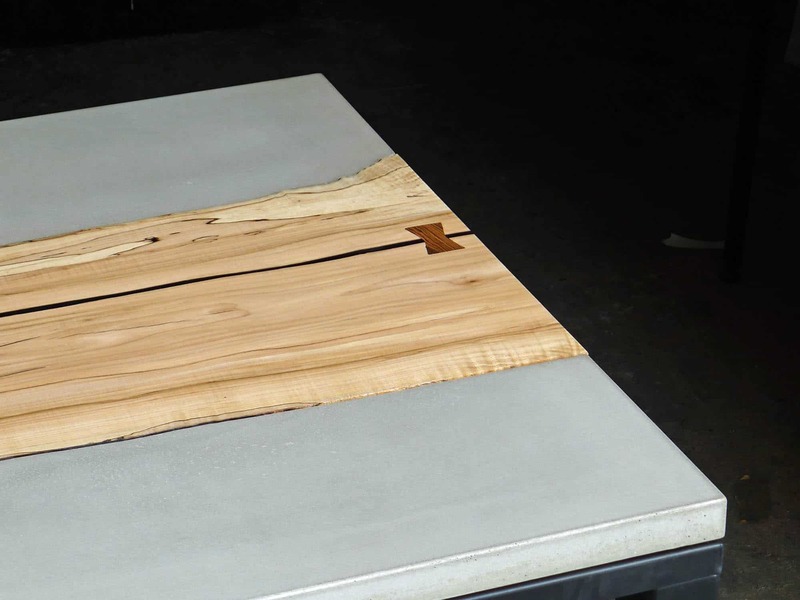 Custom 8′ dining table cast in ‘8020’ pale grey with a live edge spalted maple inlay. 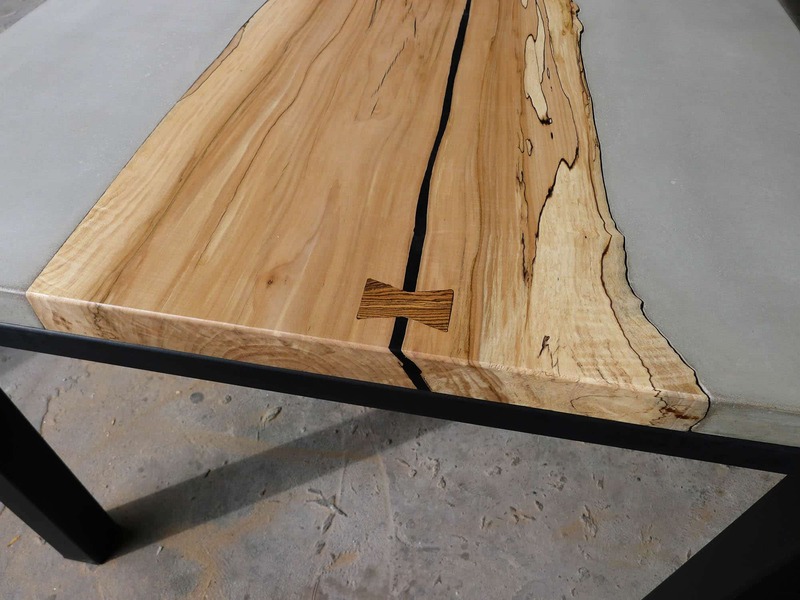 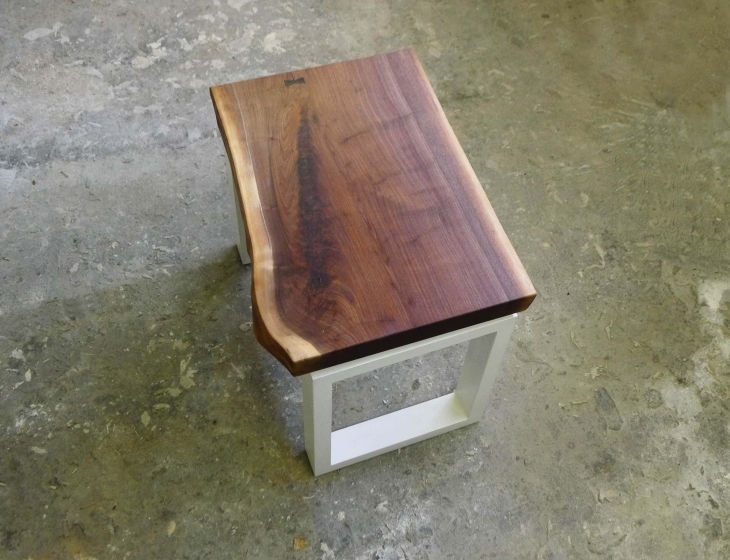 Splits, or ‘checks’, in the maple slab were stabilized with black tinted epoxy and a single butterfly joint. 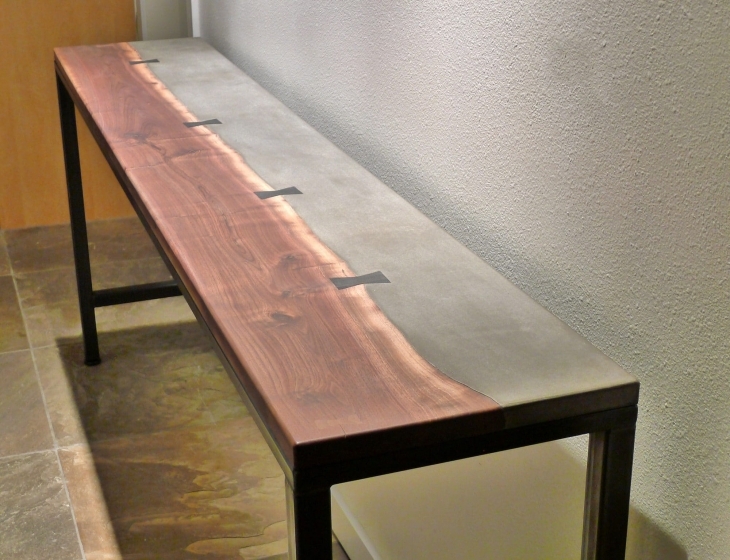 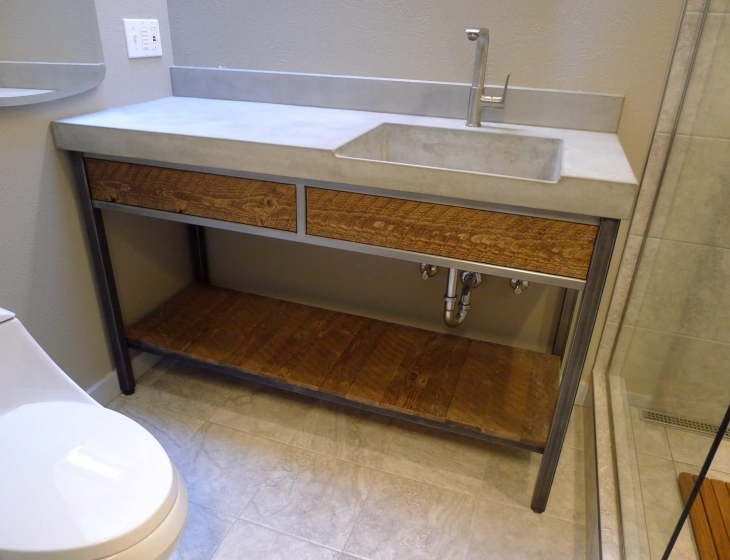 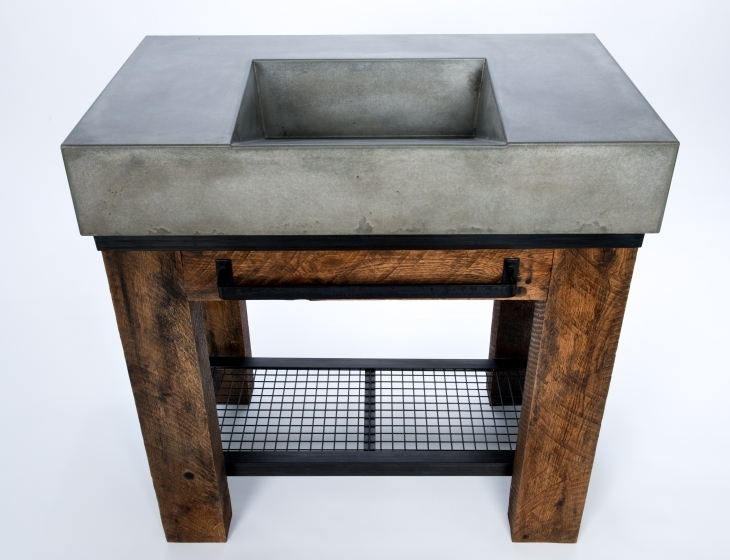 The black epoxy ties in nicely with the matte black powder-coat on the chunky 3″ square tube steel legs.